Henry Clarence Kendall was a 19th century Australian bush poet, one of a number of men of that time who wrote in lyrical terms about the natural splendour of the Outback, as well as the hardships endured by the people eking out a living in an often dangerous and inhospitable land. He was born Thomas Henry Kendall on the 18th April 1839 in very modest circumstances. His parents were settlers living in little more than a hut next to Yackungarrah Creek which lay near the coastal town of Ulladulla, New South Wales. His father was the son of a church minister who had arrived in Sydney in 1809. A good education was hard to come by at this time and the young man left school at the age of 15 in order to go to sea with an uncle. The voyage lasted two years and he used this time to develop an interest in writing poetry. The needs of the family came first though and he started his working life as a shop assistant while, at the same time, writing whenever he could. He came into contact with already established writers such as James Lionel Michael and Joseph Sheridan Moore and Michael, who was a lawyer by profession, allowed Kendall unfettered access to his extensive library. This inspired the budding poet of course and he managed to get some of his earlier pieces published in a periodical called The Empire, having befriended the editor, a man named Henry Parkes. Some of his early work even made its way to London for publication in the London Athenaeum and it received favourable reviews. Kendall’s first published collection came out that same year, in 1862, under the title Poems and Songs. His reputation was beginning to grow but the following year found him working as a civil servant with the lands department. A subsequent transfer to the colonial secretary’s department made him reasonably financially secure and he was able to buy a home for his mother and sisters to live in. 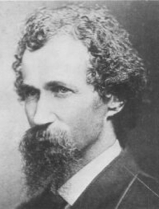 A third volume of poetry, Songs from the Mountains, came out in 1880 and his reputation as one of Australia’s most notable bush poets was re-established. Unfortunately his health was irreparably damaged and two years later he caught a severe chill from which there was no recovery as it developed into the then fatal disease of consumption. Henry Clarence Kendall died in Sydney on the 1st August 1882 at the tragically young age of 43.